This may seem obvious, but often we start wandering aimlessly in what we think, assume, or simply hope is the right direction, without deciding exactly where we what to go and what the best path is to get there. Before acting, you must determine exactly what you want you want to achieve. What do you want most? We all want a lot of things, but it is important to focus on one thing at a time. Think about what goal would impact your life the most if you achieved it. Get as specific as possible. Vague goals produce vague results. A vague goal would be: “I want to lose weight, feel better, and be happier and healthier”. What does that mean exactly? What would that look like? A specific goal would answer those questions and sound more like this: “I want to lose the 20lbs I have put on over the past year, feel energized enough to keep up with my kids and get up a flight of stairs without being winded, drop my blood sugar levels, and feel positively about the way I look”. To be around long enough to see my grandchildren grow up. To feel confident in my skin for the first time in my life. Prove to myself I AM capable of achieving something hard and that my dreams are worth it. To take care of myself, so that I can better take care of the people I care about most in my life. Because if I can do this one thing without giving up, I can do anything. 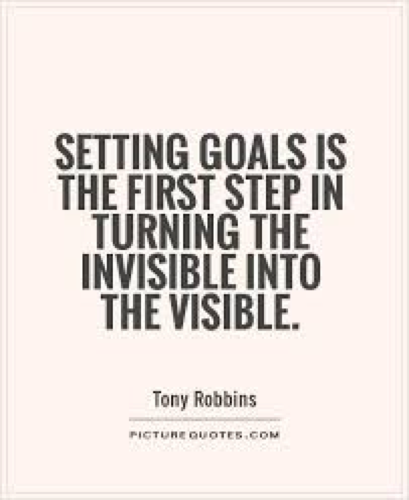 Finally, make sure your goal is something challenging, yet realistically attainable. If you have never run a day in your life, setting a goal to train for a marathon, may be a recipe for failure. That would be like expecting a baby to start running before they have started to crawl. Set yourself up for success and do not be afraid of starting small. If you have never run before, a “Couch to 5k” program would be a fantastic accomplishment to start with! This does not mean you will never run that marathon, but the type of training necessary to do so will not happen overnight. Be patient. Making lasting changes and achieving goals worth working towards takes time! 2. Develop a Game Plan! 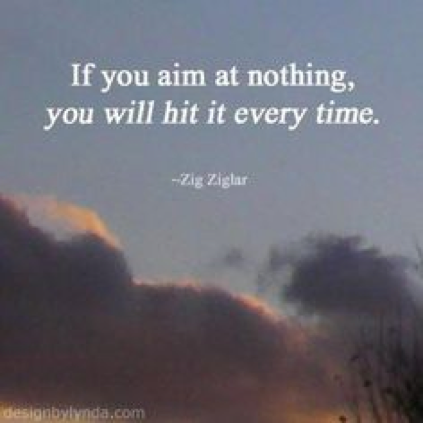 Determine, realistically, how long it will take to reach your end goal. Be patient and flexible with this time frame. Nothing worth accomplishing happens over night! Big goals require weeks, often months, and sometimes years of hard work. If you rush the process, take short-cuts, or make too many changes in a short amount of time, you may feel overwhelmed, frustrated, and burn out. Small changes made consistently will lead to much more successful and longer lasting results. So many people become frustrated that their goals are taking too long, but keep in mind that it is not a sprint, it’s a marathon. The more significant the change you are looking to make, the longer it will take you, and that is ok! To avoid being overwhelmed and frustrated by how far away your goal seems, set smaller goals along the way. For example, if you want to lose 100lbs… think of how great it would feel to even be down 25lbs, to be 50lbs down and halfway to your goal, and so on. Celebrate these small victories and acknowledge your hard work. You may not be at your destination, but you are closer than you were before. Enjoy the journey! It would be fantastic if your journey to your goal did not involve any challenges and everything went according to plan, but this is almost never the case. Life is not perfect and unexpected challenges WILL arise. Rather than hope you will overcome these challenges and make the best choices in the midst of a challenging situation…plan for how you will react ahead of time. Make a list of situations that may tempt you to give up, to break this promise to yourself, to take two steps back instead of forward. Examples could be pressure from family and friends to go off your diet, holiday parties, traveling and being out of your element etc. A challenge could be as simple as forgetting to bring the healthy lunch you packed for work. Plan for how you will handle all these circumstances before they happen. We are less likely to make healthy choices in the moment when our guards are down, we are feeling pressured, we are stressed, tired, in a rush, or willpower is simply down. If you have a back up plan for when things do not go your way, you will avoid making poor choices in the moment. For example, if you have a holiday party to go to where there will likely be many temptations and social pressure to drink too much, eat desserts, and stay up late, hoping you will avoid these factors and stick to your plan is not enough! Plan. Plan. Plan. What will you eat and drink while you are there? How will you avoid temptations? Maybe you will eat before you go, stand far away from the dessert table, offer to be a designated driver to avoid drinking too much, plan what you will say to family and friends who are questioning your choices or bring healthy and satisfying treats to have in place of unhealthy options. The list goes on! There are so many solutions, but in order to come up with them, you must determine potential problems. Just as importantly as setting up back up plans for potential challenges, set yourself up for success! Surround yourself with supportive, inspiring, and like-minded people who will help you reach your goal. It is so difficult to stay on track if you are constantly around people who bring you down, pressure you to give up, or are negative and do not support your journey towards a better you. Avoid toxic people like this and instead spend more time with people who motivate you, inspire you, and celebrate your success. This includes yourself! Your own inner dialog can make or break your progress. If you constantly speak negatively to yourself, you will start to create your own self-fulfilling prophecy. For example, if you tell yourself you are lazy, ugly, worthless, or stupid… you will not feel like you are worthy of achieving your goal. You will start to sabotage your progress and start making decisions in line with your negative comments. A good rule of thumb is that if you would not say something to a friend, you should not be saying it to or about yourself. On the other hand, if you treat yourself kindly and develop a more positive self-talk, you will feel empowered, confident, and worthy of great success. Learn to become your own biggest cheerleader and congratulate yourself often. Think about what caused your stumble… did you forget to plan for potential challenges? Were you pressured by family or friends? Did you forget to eat before the event or forget to pack a healthy treat for yourself? Whatever it may be, think about how you could prevent the same mistake from happening again in the future. Maybe you need to meal prep or plan, let family and friends know how important reaching this goal is to you so you can gain their support, or remember why you started working towards this goal in the first place and get your motivation back. Whatever it may be, instead of this stumble turning into a fall, you will be able to turn it into a learning experience and will be better prepared next time! Think back to why you started working to this goal in the first place and focus on why it is so important to you. Thinking back to your why will motivate you to get back up after falling off track and will remind you that this challenge is worth overcoming and moving past. Think about how proud of yourself you will be when you do not give up, accomplish this goal, and fulfil your why. All the mistakes and challenges will become part of the journey and will make you stronger for having overcome them! This is key! It is so easy to beat yourself up when you make a mistake, to be angry, frustrated and disappointed in yourself and fall into a negative mindset. Fight the urge to dwell on this negative experience, as these disempowering feelings will only drag you down and make it harder to move forward. 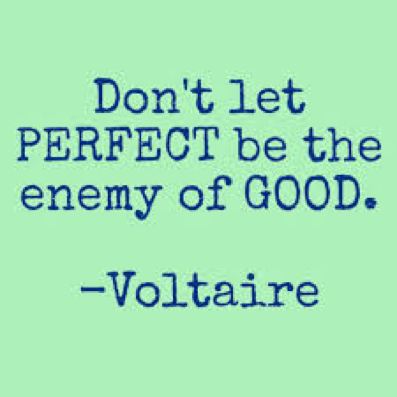 Instead of dwelling on this one bad choice, mistake, etc. think about all the things you have done right during this journey and about how far you have come. Messing up does not mean you have completely failed or that it is not worth getting back up again. Think about a baby learning to walk. First, before they can even walk, they must crawl, learn to pull themselves up to a standing position, and learn how to balance on their own. When they finally do take those first few steps, they will inevitably fall many times before walking successfully. Would you tell a baby to just give up on ever learning to walk after each time they fall? Would you determine they just weren’t cut out to be a walker? That each fall is a reason to give up and that it outweighs all the progress they have made? Would you tell them that their goal of learning to walk is taking too long? Obviously not! So why do we tell these things to ourselves? It is ok to fall, just get up quickly. This step is self-explanatory, but so essential. 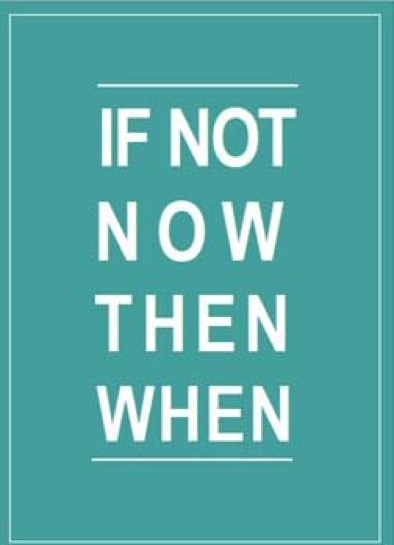 The best time to start is right now, right this very second. Do not wait until tomorrow, Monday, or the new year. Don’t wait until you’re “ready”, until your stressful or busy season is over, you have more time, or until the absolute perfect circumstances come around. There will always be a reason to put your goals off, but that does not mean you should. If your goal is worth starting at all, it is worth starting today. Think about how far you could have been already if you had decided to start working towards your goal at this time last year. Don’t regret the same thing next year! It won’t be easy, you might be anxious or scared, and you might have a lot learning to do, but the sooner you start, the sooner you will finish. So, what are you waiting for?